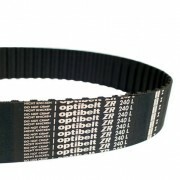 We keep a very large range of Optibelt Timing Belt large products ready for same day dispatch. These profiles include Classical, HTD and Metric T & AT. 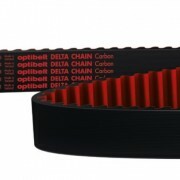 We are also able to source a Poly Chain drop in replacement belt if you need it. This is where it all began. 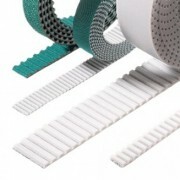 The classical timing belt was the first timing belt to become a standard in the industry. It is still very common today and we carry a full range of the Optibelt range of Classical Timing belts on the shelf ready for you. High Torque Drive belts or HTD have become very popular and Optibelt make several different designs all based on this tooth profile. 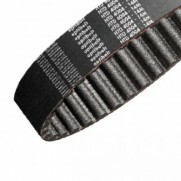 These include Standard HTD, High Power and High Load Belts as well as Fan Power belts especially designed for the high demands that fan drives put on a timing belt. 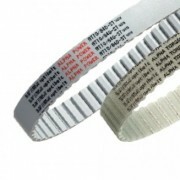 Metric belts have been around for many years and are most common in Europe. The use a poly-urethane material instead of rubber and have a steel cord for extra strength. Long length belting is common in applications where you wish to move something back and forth or up and down with is common in a lot of machines or door applications.